Falafel is considered to be Israel's national dish, having become more popular over the years due to the increase and demand for vegan food. The origin of the falafel ball is unknown, although it is thought that it goes as far back as to Ancient Egypt where the Jews would have eaten them whilst slaves to the Pharaohs. However, when the Yemenites first came to the Holy Land in 1948, they introduced the deep fried, spicy chickpea patties to the streets of Israel, where it gained its popularity and place, as the best selling street food in the land. Falafel is most commonly made from chickpeas, a legume, high in protein and fibre, as well as containing vitamins and minerals essential in a healthy diet. Other legumes include beans, such as the broad bean or fava bean, which is how many Middle Eastern cooks make their falafel, including Claudia Roden. Some recipes, however use both the chickepea and the fava bean, either way the falafel is a cheap, healthy, nutritious snack. The chick pea or fava bean is naturally quite bland and therefore different herbs, spices and flavourings can be added to a greater or lesser degree, depending on taste. All recipes include a raising agent, such a baking powder or bicarbonate of soda, to make the falafel light and fluffy. 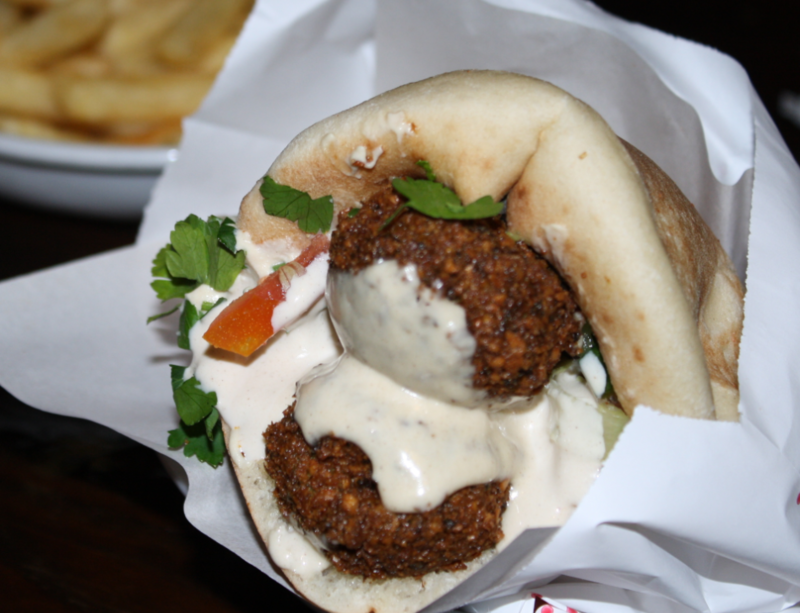 Shaping the falafel into a ball, patty or fritter is purely down to the individual cook or chef, as is whether they are then simply deep fried or coated in sesame seeds beforehand, to give another texture to bite into.